When Daly City asked us to complete a sewer rehab in the Bay Area, the EPS Express Plumbing team was eager to comply using trenchless pipe reaming to get the job done. What is Trenchless Pipe Reaming? Trenchless pipe reaming can also be called pipe eating. It’s a pipe replacement technique that removes the existing pipe and at the same time install a new pipe replacement without digging a huge trench. “We enjoy challenging projects, we’ve been doing this type of work in the Bay Area since 1989” said Nick Bechwati, owner of EPS Express Plumbing. 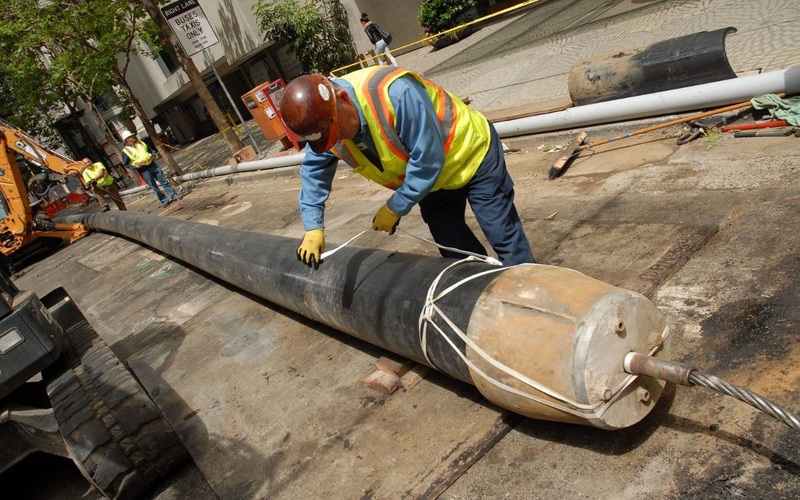 The company is regarded as the best in the Bay Area for all projects involving trenchless pipe replacement for sewer, underground utilities, cable, and everything in between. Using techniques such as pipe lining, pipe bursting, laser guided bore, micro tunneling with an emphasis on pipe reaming. No matter what the size of the project, large or small, EPS is has the manpower and equipment required to handle it. Pipe replacement in the Bay Area has been provided to all cities including the latest sewer rehab project in Daly City. There was 1700 feet of existing old 12″ vitrify clay pipe that needed replacement. The project was managed by Nick Bechwati, our hands on owner and an entire crew that’s experienced and the best in the industry. Using the trenchless pipe reaming technique 1700 feet of 18″ High-Density Polyethylene “HDPE” pipe was installed through the existing old 12″ vitrify clay. 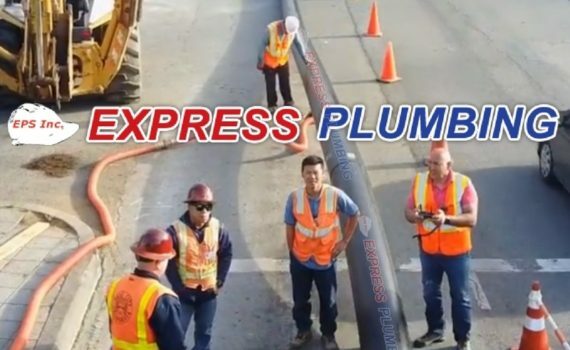 A special thanks to the City of Daly City and to the entire EPS Express plumbing crew for properly organizing, and setting standards that meet stringent requirements while taking the community and the flow of traffic in the area into consideration. If you’re looking for an underground construction, civil engineering company you can rely on, we invite you to rely on our expertise to get any size project completed in time and within budget. 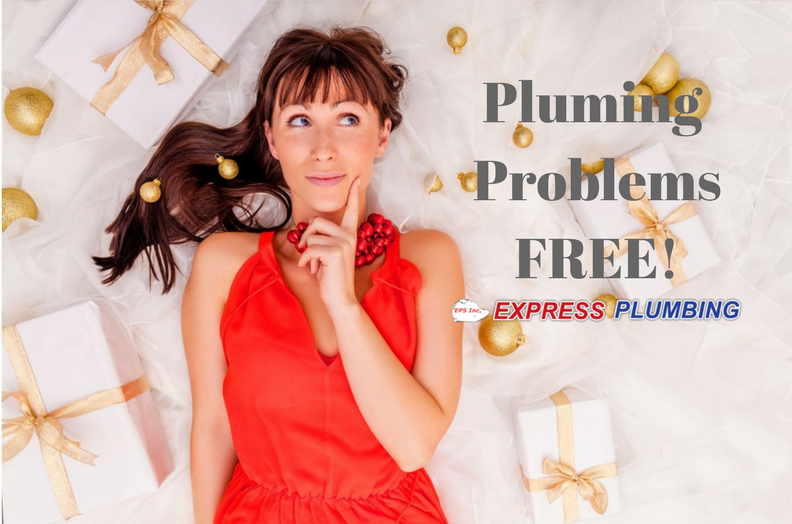 EPS Express Plumbing has been serving the entire Bay Area for over 30 years including Daly City, San Mateo, Burlingame, San Francisco, Foster City, Brisbane and all surrounding areas. 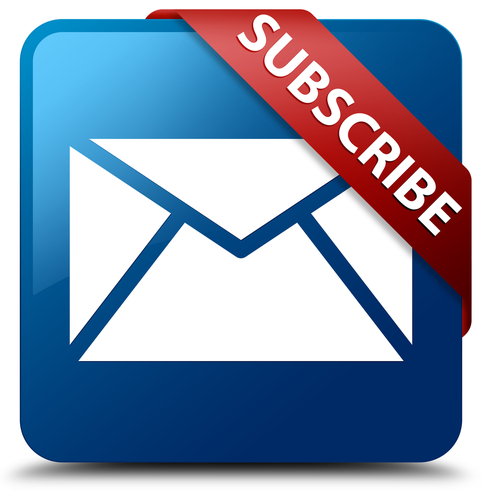 We look forward to helping you with your next pipe replacement project. If you have a civil engineering project, contact Nick Bechwati directly.